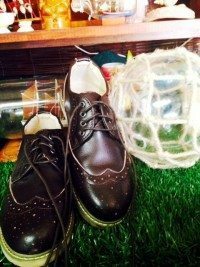 These classy brogues are a perfect accessory for that dapper 1940’s suit. You will look just like Bing Crosby. They have never been worn, & are in “as new” condition. They are a European size 41.